We are recruiting support workers to join our friendly team in central Bognor, where we support people with learning disabilities to live in their own flats in the community. We work in partnership enabling our tenants to live the lives they choose safely, while developing their own independence. We are passionate about helping people to improve their well-being, quality of life, and day-to-day living skills. People are supported to lead fulfilling lives by being engaged in community life; getting involved in work, learning, and leisure activities of their choosing; and by keeping in touch with family and making social connections. 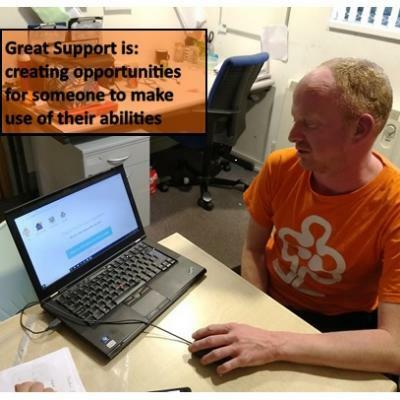 We are part of the G8 support network and are proud to promote high quality support in social care: we welcome anyone with a sense of adventure, enthusiasm, and lots of passion to be involved. We are responsible for meeting the requirements of the Care Standards Act and Regulations, ensuring our work meets the standards set out by the Care Quality Commission and other legal requirements including the West Sussex Safeguarding and Medication policies. We achieve this by working as a team along with the people we support to ensure their emotional, social, medical and material needs are recognised, assessed and met. We work flexibly on a shift rota that fits the needs of the project and suits the wishes of the people we support. Shifts will include mornings, evenings and weekends. If you like to have fun at work, if you are enterprising, if you can help people have real-life opportunities and make a difference to the lives of the people we support, then please apply today.